Are you Ready to empower your SALESPEOPLE with a CRM? Has it become more difficult to keep track of sales leads? Could your company earn more business and referrals from existing customers if you could spot and capitalize on added opportunities to serve them? Are your sales, marketing and customer support efforts working in sync to increase top-line growth? Or, are they disconnected at times – and potentially working at cross-purposes? Customer relationship management software from WebRevelation centralizes and streamlines these activities so they’re more effective – and efficient. Our custom CRM software cost-effectively integrates sales, marketing and customer support functions in one place and tailors them to your organization’s specific needs and environment. Not only does this make them easier to manage, it amplifies the value of your investments. What’s more, our proven CRM development approach ensures that your software is easy-to-use and readily integrates with other systems for maximum visibility. WebRevelation’s CRM software is ideal for manufacturers, distributors and manufacturer’s reps. Our technology organizes, automates and synchronizes sales and marketing processes: from identifying opportunities, to acquiring and retaining customers, to managing and reporting on your initiatives. Beyond sales and marketing activities, our custom CRM solutions also incorporate customer service and technical support to improve the customer experience. And, they streamline your sales, support and marketing processes, which eliminates duplicated efforts and unnecessary expenses. If you’re not automating these functions, you can’t adequately track prospects, customers, campaign results or the effectiveness of your teams. Your company is missing out on key insights and trends that can help you grow top-line revenues and enhance the productivity of customer-facing staff. For example, filling a void in the marketplace with a new product. Or having the ability to head off customer dissatisfaction – and defections – by improving a product or service. 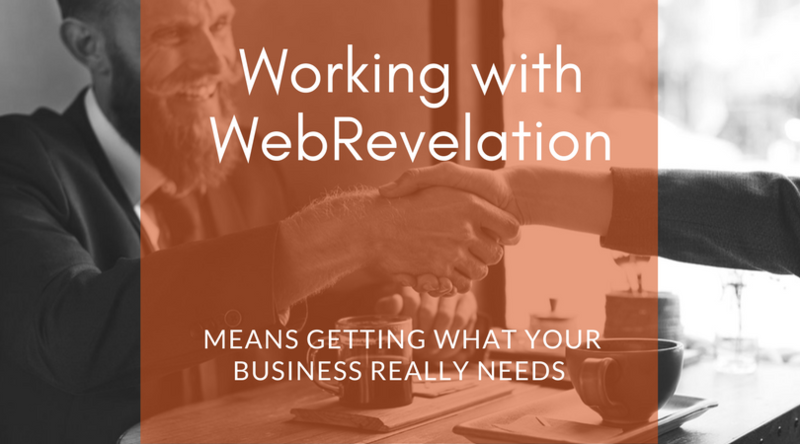 Find out how WebRevelation can help your company take advantage of more opportunities to grow and prosper with custom CRM software. Contact us today to discuss your goals and challenges.